When I see versions of the paleo autoimmune protocol forbid NSAIDs, my blood pressure spikes. When I read yet another article on how NSAIDs will kill you, I get angry. Why? Because I have experienced excruciating pain, when NSAIDs didn't feel like a choice, so much as a means to survive. Then, I take a deep breath, calm myself down and remember that I also love these bloggers. Like me, they offer their blogs to the public for free, with a heartfelt desire to help people. Mainstream Americans often take medication without thinking, believing that if something is sold over-the-counter, it's harmless. Healthy living websites simply want to educate people about the risks. My concern stems from the fact that people with autoimmune disease aren't mainstream America. Their lives are much more challenging, and the medical decisions they make aren't lighthearted at all. Telling them to give up their pain medication increases the burden on someone who is already overwhelmed. This article is a call for compassion: If you want to help people in pain, you need to understand their experience. The pain needs to go away before the pain killers do. Although some people with autoimmune disease don't have pain, many live with a level of pain impossible to imagine, unless you've experienced it yourself. Doctors even prescribe anti-depressants, because the pain can lead to suicidal thoughts. NSAID stands for nonsteroidal anti-inflammatory drug. They were created as an alternative to steroids, which have a dizzying array of side effects. NSAIDs are also an alternative to narcotics, which in addition to serious side effects, carry the risk of addiction and overdose. 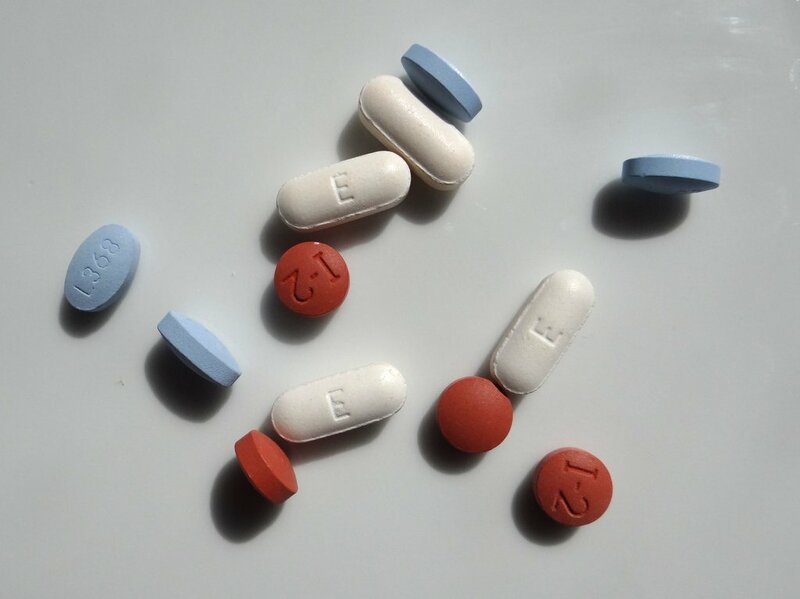 This isn't to say NSAIDs don't carry risks as well, but it’s important to remember that people take them as an alternative to more debilitating medication. 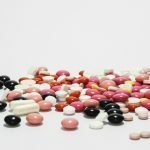 Although there are anti-inflammatory supplements available that can be very helpful (and I will detail them later in this article), they aren't as strong as NSAID medication and for people with chronic pain, they often aren't enough. Usually, people who tell others to go off NSAIDs cold-turkey either haven’t experienced excruciating pain, or their pain went away immediately after making dietary changes, or trying one of the herbal alternatives. If you are one of those people, that is awesome and cause for celebration. However, most people aren’t that lucky. Autoimmune disease involves immune and inflammatory processes that are chronic and complex. Toning them down is a long-term endeavor. It can be done! But if your disease involves inflammatory pain, it’s natural to need NSAIDs during that transition. 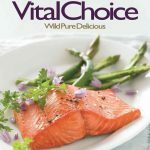 The autoimmune protocol was originally designed to be a food elimination diet, done for 30 days, after which foods would be reintroduced while the body is monitored for symptoms. It's an old and very effective technique for identifying food intolerances. Medication isn't food and should never be added to an elimination protocol. Rather, as food intolerances are identified and removed from the diet, pain decreases, and people are able to reduce their dosage naturally. If people are in pain, they can't sleep, and poor sleep is linked to increased inflammation and the development of autoimmunity. Since the autoimmune protocol stresses the importance of reducing stress and getting enough sleep, the advice to stop NSAIDs cold-turkey is contradictory. When we experience pain, the brain releases a number of neurotransmitters and hormones in response. One of those is cortisol – the fight or flight hormone. When it's released, our heart beats faster, our blood pressure goes up, the immune system is suppressed, organs slow down, and blood is redirected to skeletal muscles. This response is designed to protect us, by giving us the energy we need to react in a dangerous situation. However, it's also meant to be temporary, with full function of our organs and immune systems restored once the danger has passed. With chronic pain, cortisol keeps getting released over and over, and these effects which are meant to be brief, become chronic as well. Needless to say, this damages our bodies over time. We aren't meant to live in pain. Studies even show that people with chronic pain have shorter life spans. In addition, the stress of living with pain creates a vicious cycle that causes more pain. Having treated over 3,000 people with RA and seen the pain experience up close, he expressed an empathy which I desperately needed to hear. Note the last sentence in his quote – he doesn't tell people to go off their medication. Instead, his treatment protocol offers advice on alternatives, helping people lower their dose. For those who need to continue some level of NSAID use, he offers advice for doing this safely. This is the balanced approach I would love to see more of in the paleo and real food community. Here is a list of natural supplements with pain-relieving and anti-inflammatory properties. They are absolutely worth trying, and I take some myself. For some people, they eliminate the need for NSAIDs completely. For others, they allow you to lower your dose. 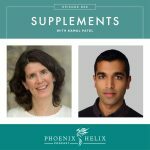 Work with your healthcare team to discern which is best for you: Curcumin, Cat's Claw, Fish Oil, Krill Oil, Black Currant Oil, Boswellia, Willow Bark, and Tart Cherry. There are also two essential oil roll-on sticks that have a reputation for relieving headaches, even migraines: Mygra-Stick and DoTerra's PastTense. 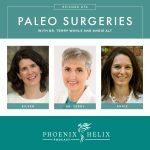 Healing from rheumatoid arthritis, I struggled with feelings of guilt and shame about relieving my pain, due to the anti-medication message of the alternative health and paleo communities. Now that I write this blog, I receive emails from people having similar struggles. Some people say they feel like a failure if they still need pain relief. Others fear the diet won't help them at all if they aren't willing to go off their medication first. Guess what? Taking painkillers hasn't stopped my healing process. In fact, I would say it's been integral to my healing process, because it has kept my stress at a manageable level and allowed me to sleep at night. Prior to starting a healing diet, I was taking very high doses of ibuprofen and naproxen, to survive the daily flares. Once I started GAPS, the flares started to diminish, and so did the dose of my medication. I then added anti-inflammatory supplements, which allowed me to reduce my dose even more. Currently I'm doing the core autoimmune protocol (food only), and my inflammation is continuing to drop. I hope someday I won't need any painkillers at all, but right now I still take 1 aleve tablet twice daily. Why? Because when I stop taking it altogether, the inflammation in my body ramps up, bringing pain back to my daily life and making sleep almost impossible. With this small dose, I'm comfortable both day and night. That is a feeling that promotes healing. Pain is not. I'm not an anomaly when it comes to healing through diet while still taking painkillers. Dr. Terry Wahls still takes some on a daily basis, although like me, her dose has reduced dramatically. As a woman who understands excruciating pain, Terry has never advocated going off pain medication if you are still experiencing pain. Ann Wendel is another person who shared her story on Robb Wolf's website; she reversed Hashimoto's through the Paleo diet, but it took 9 months before she could start to reduce her anti-inflammatory medication. It didn't stop her healing. And I guarantee you there are others, but you won't find a lot of evidence on the internet, because people tend to keep that information secret, out of fear of judgment. All I ask is that we stop judging and start understanding. I'm not pro-NSAID; the goal is definitely to reduce and ideally eliminate the need for this medication. 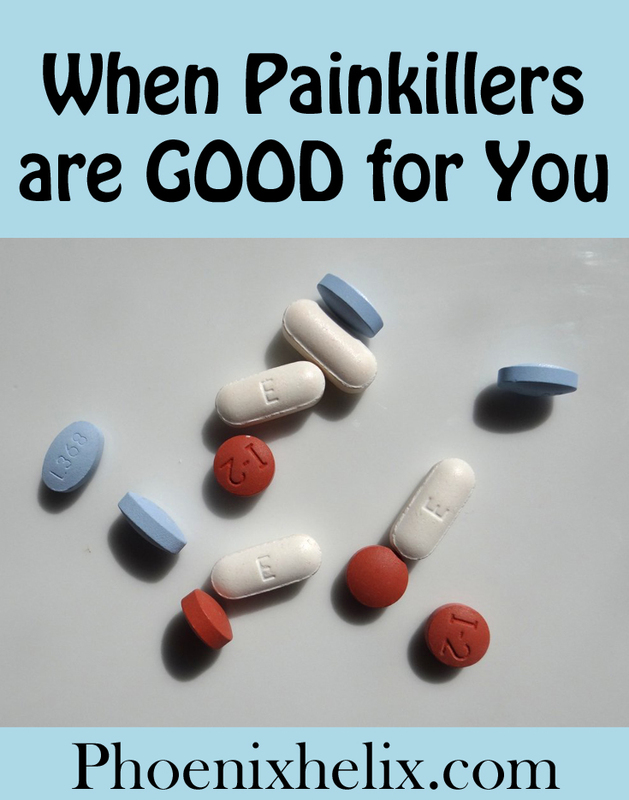 I'm just saying that can take time, and while we heal, NSAIDs can help. This website has a disclaimer on its legal page that is always in effect, but since I'm talking about medication here, it seems prudent to end the article with this reminder: I’m neither a doctor nor a dietitian. This blog is designed to chronicle my own health journey, share what I learn in the process, and connect with others on a similar path. Everything I write here is simply my opinion and not a replacement for medical advice. May we all be well! That's the balanced advice I've been looking for in the paleo community.